The pillow is made of soft plush and is filled with PP cotton. These materials are completely safe since they don’t contain any harmful substances, feathers or other allergens. Hence, such a pillow will be a wonderful gift for a child. 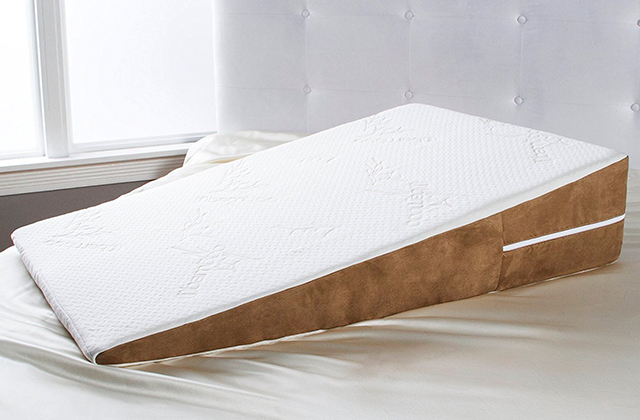 Because of the light colour, the pillow is easily soiled and requires frequent maintenance. The Desire Deluxe Emoticon fun pillow will look great on the bed, couch or armchair. It will be highly appreciated by those who like unusual creative stuff. Plus, there are 6 more design options available. The outer part is soft to the touch and it is generously filled with polyester. It feels like it was specifically made for cuddling. 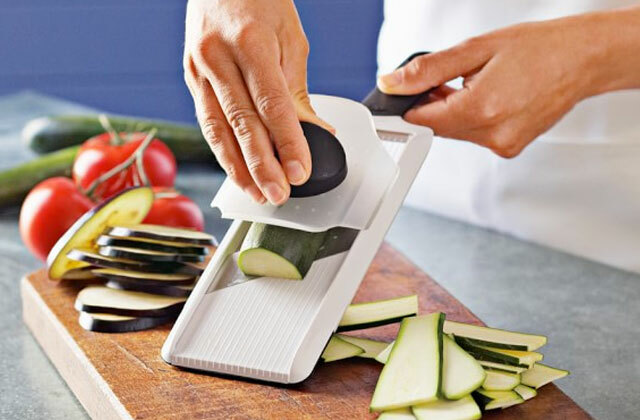 Besides, the size is just perfect for this purpose. The thickness of the filling in the horn leaves much to be desired. 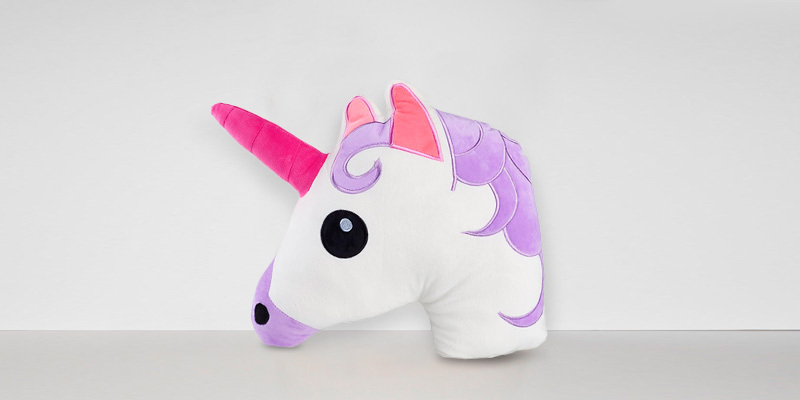 This Unicorn Emoji Pillow is a great gift to any kid. It can be used for playing, cuddling and sleeping. Plus, it comes in three colour options, including purple, dark purple and white with a rainbow mane. This model is extremely comfortable since it is almost round and is filled with a good amount of PP cotton. Thanks to the size of 32 x 32 x 10 cm it will make your night rest really great. The colour turns out to be bright yellow and not the original orangey-yellow. If you want to have a heart eye cat emoji not only in your phone but also in your house, consider buying this cushion from Desire Delux. 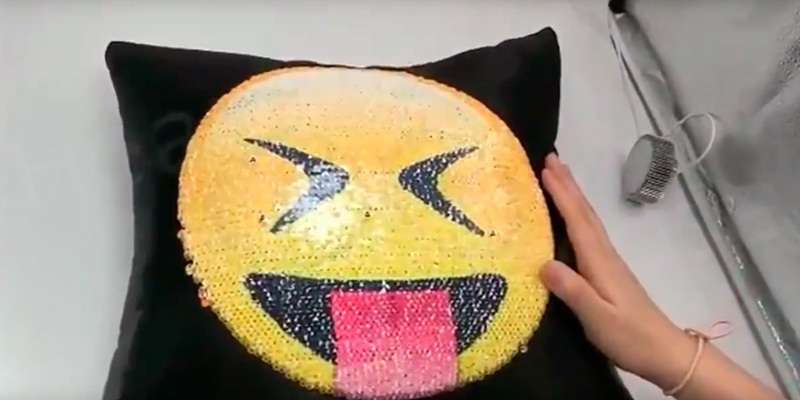 This fun emoji pillow will bring a lot of joy to you and your family. It is filled with 100 % PP cotton and has a plush exterior. All the stitching is neat and barely noticeable, which adds extra sturdiness to the product. The manufacturer also provides you with a lifetime warranty. May arrive a bit creased and dented, but gets in the original shape in a short time. This cushion will bring new colours to your living room. Place it on your sofa and this eye-catching pillow will be highly appreciated by all your guests. There are 8 other emoticon options available. You get 2 emojis on one pillowcase. The sequins can be reversed to show a different picture in one hand move. It is a bit uncomfortable to sleep on the sequins, so turn the pillow on the other side. This cotton pillowcase from SNUG STAR with a convenient zipper is a great budget-friendly choice for your home. It can brighten up any room and create a funky atmosphere. The Desire Deluxe has a line of soft emoticon pillows that will look great in any living room. 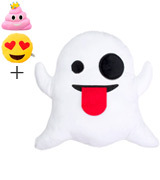 The one we have here is a Ghost emoji, but there are seven other options available (including Heart Eyes Emoji, Sleeping Emoji and various Poop Emojis). The pillow itself is made of soft plush and is filled with PP cotton. These materials are completely safe since they don’t contain any harmful substances, feathers or other allergens. Hence, such a pillow will be a wonderful gift for a child. The dimensions of this pillow are 32 x 22 x 10 cm. It will look great on the bed, couch or armchair. 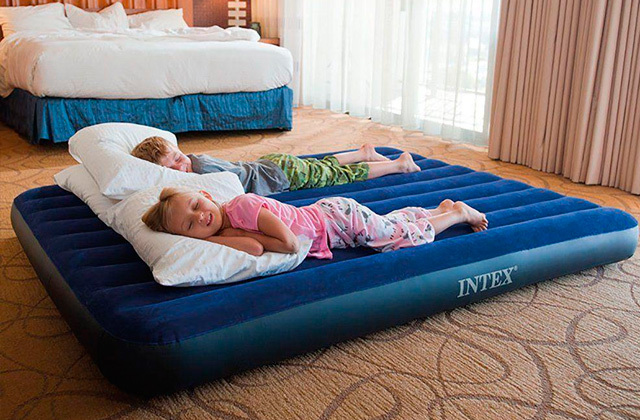 It will also come in handy if you or your kid decides to take a quick nap during the day. You can be sure this pillow will help you get a good rest. 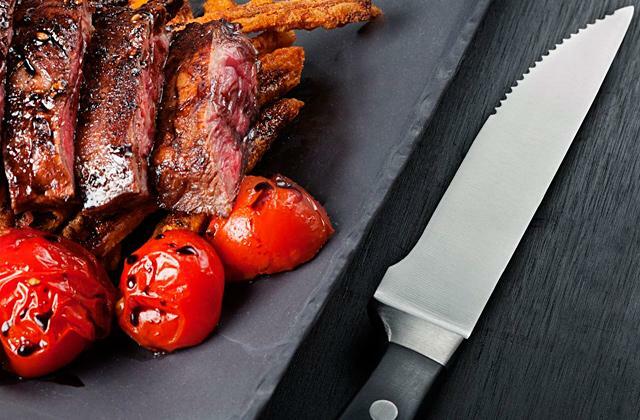 The only tricky thing about this piece is the maintenance. Since the Ghost Emoji is made in a light colour, the pillow can be easily soiled and requires frequent maintenance. The manufacturer recommends hand wash and professional dry clean in order not to damage the piece and let it serve longer. 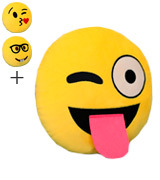 So, the Desire Deluxe Emoticon is a cute emoji pillow that will look great in any room. This spooky little ghost is a great gift to your child since it is made of allergen-free materials. It will be highly appreciated by those who like unusual creative stuff. A lot of children have asked their parents to buy them a pony or a unicorn at some point. Unfortunately, this dream cannot be fulfiled. 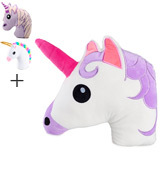 Yet, you can treat your kid with the Kreative Kraft Unicorn Emoji Pillow. This emoji cushion not only looks nice but is also soft to the touch. The outer part is made of plush and it is generously filled with polyester. It feels like it was specifically made for cuddling. Besides, the size is just perfect for these purposes. The dimensions are 34 x 34 x 9 cm, so your kid can hug it while falling asleep and it won’t cause any discomfort. This model comes in a nice purple colour, but there are also options in dark purple and white with a rainbow mane available. Also, we would like to remind you to take care of the pillow. Hand washing is recommended and it is better to dry it on low temperatures. Some users point out that the filling in the horn is not that thick. Yet, even if you decide to sleep on this pillow, it won’t be a big problem since you will most definitely lie on the main part. 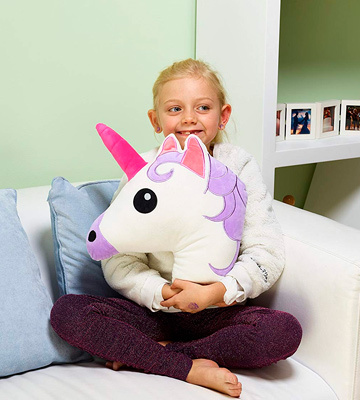 The Kreative Kraft Unicorn Emoji Pillow is a great gift to any child. It can be used for playing, cuddling and sleeping. Made of soft and durable materials, this piece will become your child’s favourite entertainment for a long time. 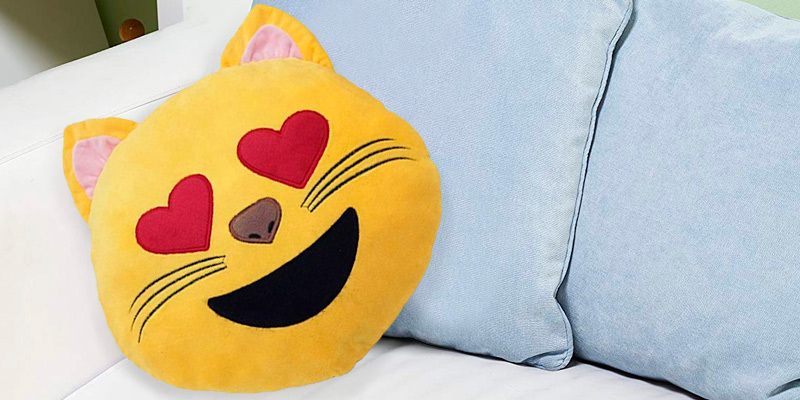 If you want to show you sweet and fun personality, add a Hart Eye Cat emoji pillow from Desire Deluxe to your home. What we like about this pillow is that it is not only cute but it is also great for sleeping. 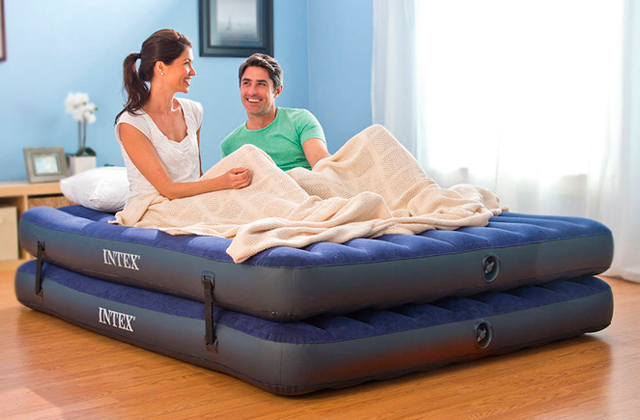 This model is extremely comfortable since it is almost round and is filled with a good amount of PP cotton. Thanks to the size of 32 x 32 x 10 cm it will make your night rest really great. A lot of customers really appreciate that compared to the other cushions with a similar size, this emoji pillow doesn’t cost that much. Hence, this is a great offer if you don’t want to spend much. Plus, when purchasing it you also get a 100% satisfaction guarantee. 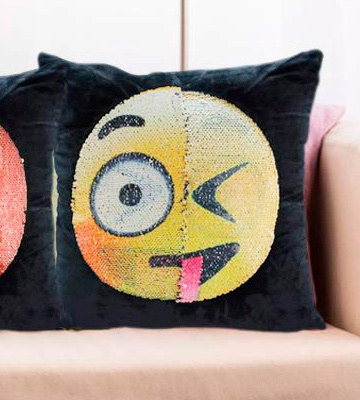 Like most of the sofa cushions, this emoji pillow should be washed manually or you can dry clean it. We also would like to warn you that the colour may vary a bit. It will turn out to be bright yellow and not the original orangey-yellow. Yet, we hope that the colour difference won’t be such a big turn off for you. 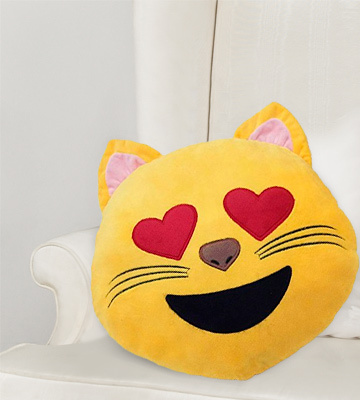 In conclusion, if you want to have a heart eye cat emoji not only in your phone but also in your house, consider buying this cushion from Desire Delux. 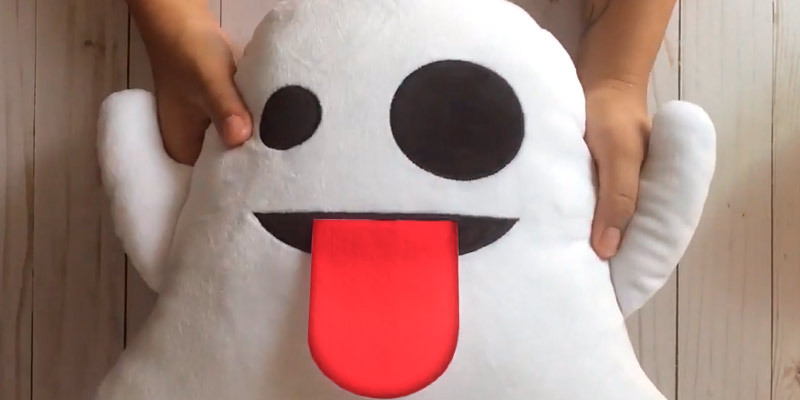 This cute emoji pillow will bring a lot of joy to you and your family. It is also a great gift for your loved one if you want to express your affection. 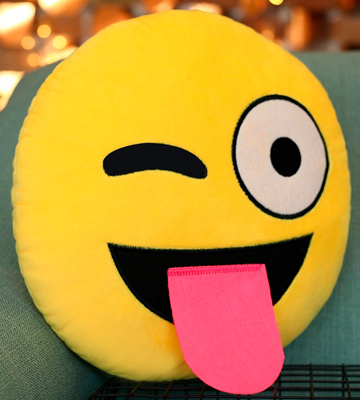 The Fone Stuff has a selection of various emoji pillows with silly facial expressions, but we decided to go with the Sticking Tongue emoji for our review. This emoji cushion will bring new colours to your living room. Place it on your sofa and this eye-catching pillow will be highly appreciated by all your guests. One of the best thing about the Fone Stuff pillow is that it has amazing quality. It is filled with 100 % PP cotton and has a plush exterior. All the stitching is nice and neat, which adds extra sturdiness to the product. The manufacturer also provides you with a lifetime warranty. Unlike most of the pillows on our shortlist, this one is mostly for decorative purposes and has a pretty modest size (28 x 28 x 9 cm). A lot of users point out that the pillow may arrive a bit creased and dented. However, have no worries, it will get in the original shape in a very short time. 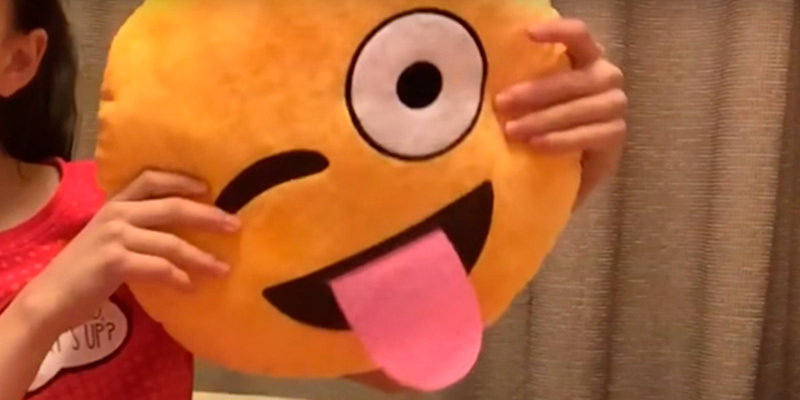 In conclusion, this cute emoji pillow is a great present for kids and adults. Thanks to the colourful bright design and small size, it is a perfect decoration for your sofa, armchair or even car. There are 8 emoji options available (like Laughing, Blow a Kiss or Angry Face emojis). So, apart from the Sticking Tongue expression, you can choose the design you prefer since they all have the same good quality. The SNUG STAR Mermaid Sequin Pillowcase will fit all those who seek something to spice up their interior without paying too much. This pillowcase is made of cotton and is decorated with sequins. 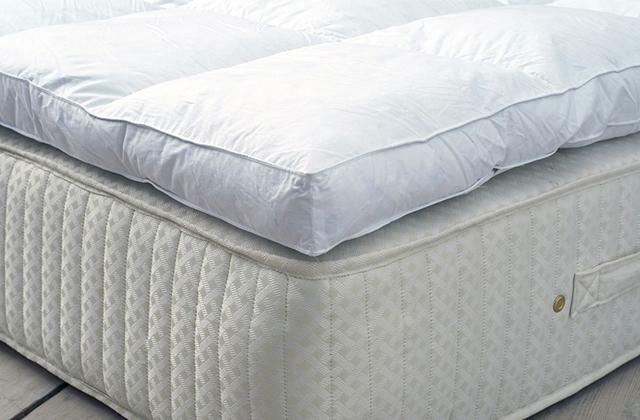 It also features a sturdy zipper that allows you to slip the pillow inside easily and lock it in the case. 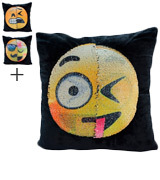 What is great about this model is that you get 2 emojis on one pillowcase. The sequins can be reversed to show a different picture in one hand move. This pillowcase features the dull and naughty emojis, so you can play and choose different styles all day long. Plus, there are 7 more models available. In order not to damage the sequins, avoid washing it in the washing mashing. It can be easily cleaned manually and because the case is dark and not easily soiled, you won’t have to do it too often. The size of the case is 40 x 40, so you can easily fit pretty much any cushion or pillow in there. The only problem is that it is a bit uncomfortable to sleep on the sequins, so we recommend turning the pillow to the other side for more comfort. In short, the cotton pillowcase from SNUG STAR with a convenient zipper is a great budget-friendly choice for your home. 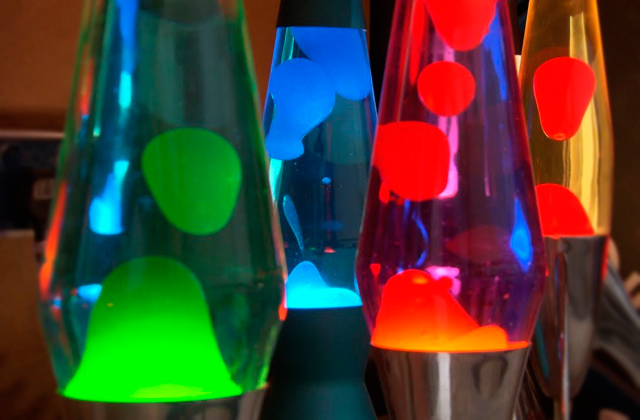 It can brighten up any room and create a funky atmosphere. 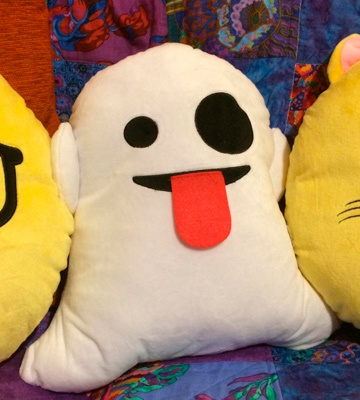 What Is an Emoji Pillow? Since social media has an important place in our lives, we constantly use emojis when writing texts or leaving a comment. No wonder that emoji pillows are so popular among customers of all ages. 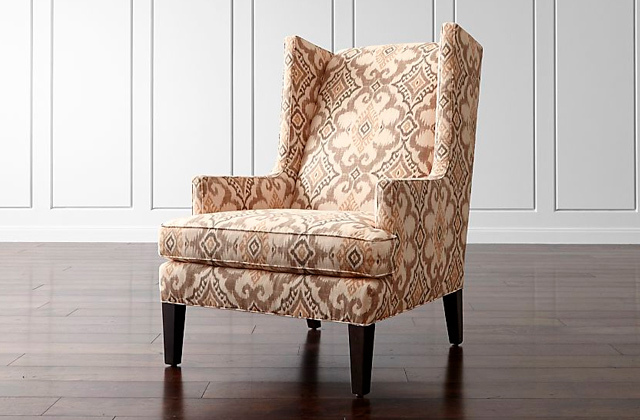 Such a piece is a great addition to any living room or bedroom. There are multiple design options of these items: some of them come in the original yellow colour, but there are also other bright and funky options available. 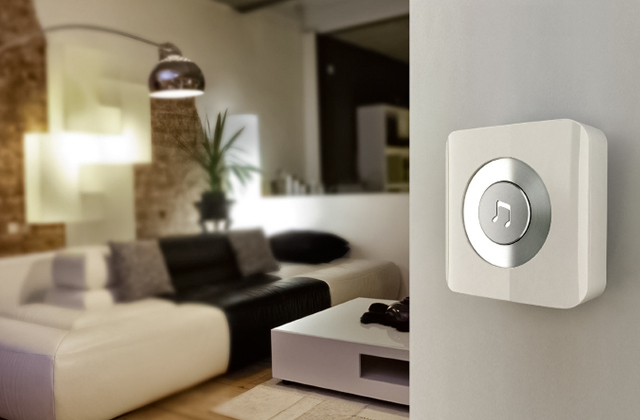 Hence, you can choose the one that resembles your favourite emoticon or that fits your interior. Apart from being a good decorative choice, these emoji pillows can also serve as a regular pillow. Considering that most of them come in a slightly smaller size, you may want to consider buying a few of them for sleeping. You should also pay attention to the materials used in their construction. 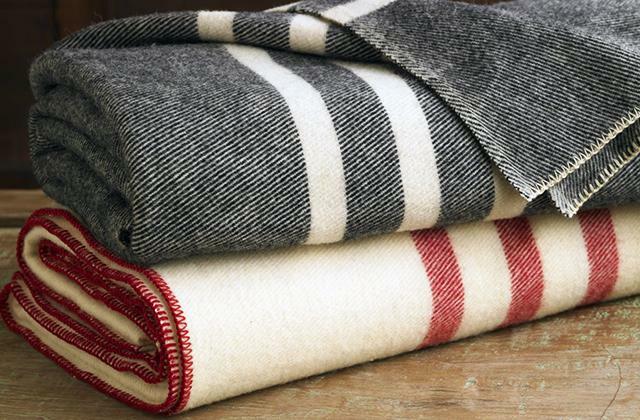 Pick those which are made of high-quality fabric and filling, especially if you might be allergic to some types. Also, if you need a pillow to spend the night in comfort, we have a selection of top orthopaedic pillows and feather pillows for the best sleep.